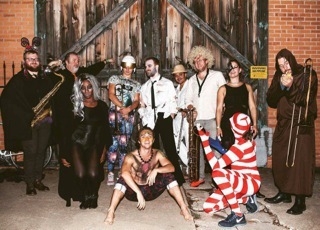 Count Tutu is an eleven-piece funking horn outfit from Tulsa led by Nathan Wright and Mike Cameron. Its high energy dance music draws from Fela Kuti, James Brown and Rage Against the Machine. Since their first show in July 2015, Count Tutu has packed houses in Tulsa, booked the Caribbean Sea Jazz Festival in Aruba, and will open for John Popper of Blues Traveler in Copper Mountain, CO. In addition to their Mainstage set, the band will participate in a free late-night jam at Fassler Hall from 10:00-midnight.